Below is a list of our traders from years convention (2018)! As well as running the CCG tournaments during the convention, The Warchest from Dun Laoighaire will be selling all your CCG requirements, from card sleeves and boosters to master packs and singles. 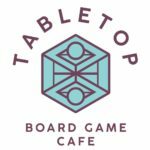 Tabletop Cork will be coming up from the real capital to sell boardgames as well as demoing a range of light games. Gamers World will be coming out from the heart of Dublin with a range of boardgames and RPG supplies for your gaming needs. Nerds N Geeks will be selling a range of artisan handcrafted wooden dice trays, towers and boxes, as well as a collection of sets of dice to fill them with including metal sets. They will also be 3D Printing mini figures during the convention and selling props for TRPG’s and Terrain that they also 3D Print. Heather Brennan sells a variety of products including prints, buttons and stickers a majority of which are fan or nerd-inspired. They’ll also be providing commissions should people want something a lot more personal and bespoke. 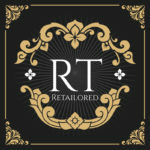 Retailored will be back at the con this year with Steampunk and Alternative style women’s clothes and accessories for all your bells and whistles, and gears, and cogs. The One Kierce is a comic artist and design student based in Galway, selling art prints and doing sketch commissions. One of our regulars Rob Brennan will be back again this year with a variety of second-hand terrain and gaming paraphernalia. He will also be selling some hand-crafted earring his daughter makes.